Healey & Lord Ltd Incorporates a New DivisionHealey & Lord Ltd has incorporated a new division into it's portfolio. 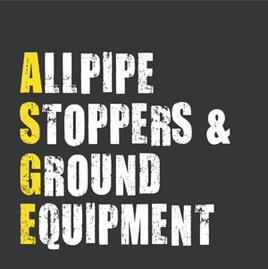 The company which has been re-branded Allpipe Stoppers & Ground Equipment (ASGE) has been operating for over 20 years and has been selling & hiring ground work equipment to the Civil Engineering & Construction industries since 1983. Richard Gates, Director says as follows, "the acquisition of ASGE represents a very exciting challenge, the company has been operating out of it's Norwich warehouse for over 20 years and I believe that it is well suited to utilising the Healey & Lord Ltd marketing strategies; the official taker-over was at the beginning of April and already we have seen a boost in both sales & hires and we are rapidly expanding it's product range relevant to the companies market."